Home › Getting Started › Should I Take the SAT or ACT? Geography was destiny merely a decade ago when it came time to pick the SAT or ACT – if you lived on the coasts of the United States or in another country, the SAT was your game. If you lived in the Midwest, you’d pick the ACT. And some schools preferred the SAT, forcing many students to take that test regardless of their preferences. In short, the SAT was king. The SAT & ACT are equally valid tests – all colleges will accept one or the other with no preference. 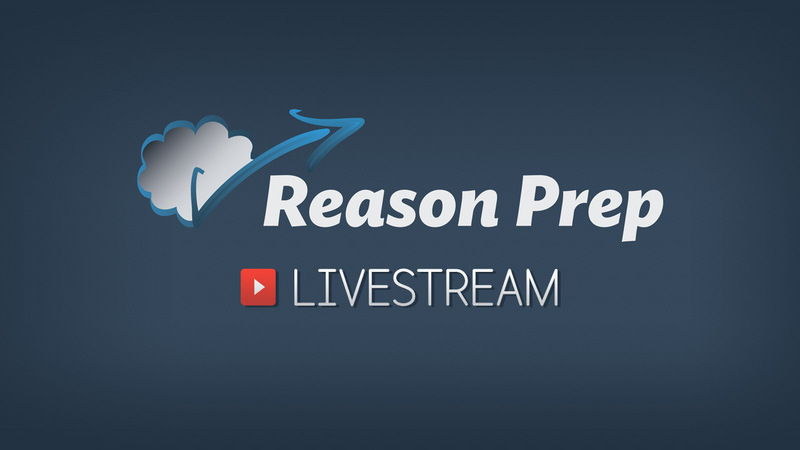 As a result, the ACT has caught up to and surpassed the SAT in popularity, not least in part due to the revisions made to the SAT and the uncertainty about how to prep for the test as a result. Now, then, the choice between the SAT and ACT is entirely your own, a function of your strengths and your inclinations. Neither test is inherently “better” or “easier.” Colleges don’t much care either way. So don’t sweat what other people think – it’s all up to you. What about taking both tests? I strongly recommend that you select one of the tests to master, rather than trying to study for both tests. There is some overlap between the tests (discussed below), but the tests are different in content, structure, and style enough that it’s best to specialize rather than spread yourself thin. 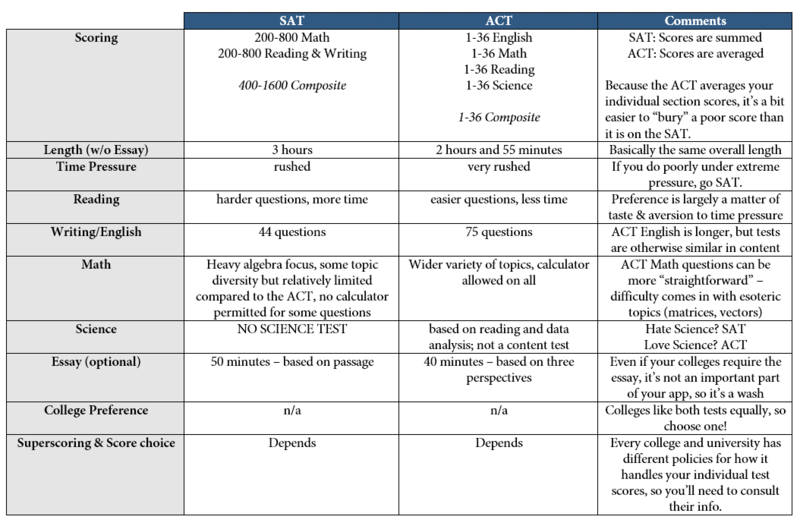 How to Choose Your Test: SAT or ACT? Are you better at one test than the other as demonstrated by test scores? Do you prefer the structure, style, and “feel” of one test over the other? Are your friends taking one test or the other? Have you prepped for one test or the other already? Let’s break down these questions further. Some students simply do better “naturally” in one test than the other, for whatever reason(s). To figure out which test you might be better at, you’ll need to take one full test of each. If you’ve already taken an official SAT/PSAT or ACT, great! Hold that score aside for a second. You can get the full PDF from the College Board here. 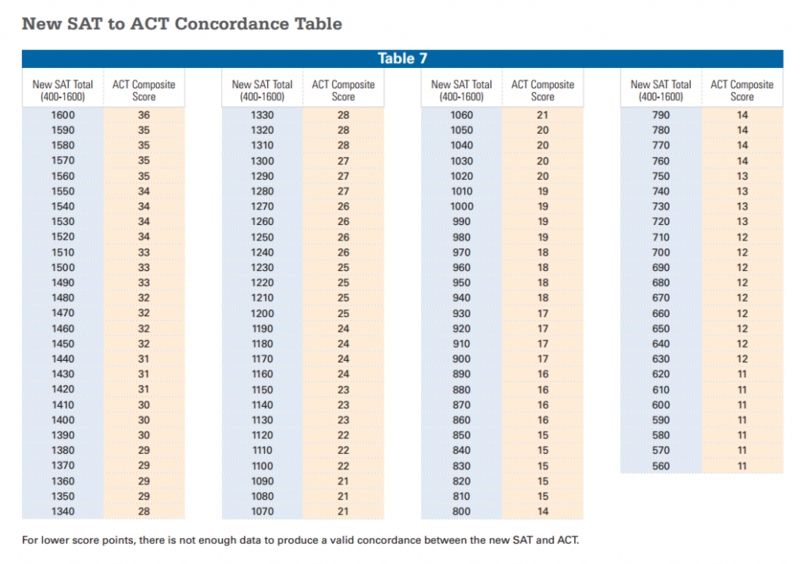 Look up your SAT/PSAT score in the table and see which ACT score it corresponds to. If your actual ACT score is 3 points or more away from the score on the table, then I would consider that a significant difference. You should then lead towards the score that’s “better.” If the difference is >5 points, then I would strongly encourage you to select the better test, barring significant factors weighing in the other direction. 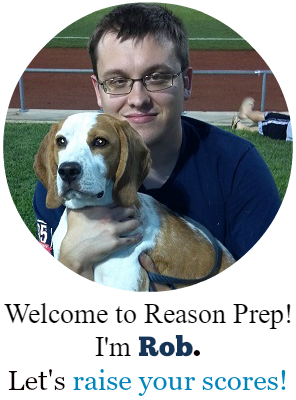 Robert scored a 1260 on his SAT and a 26 on his ACT. Looking at the table, a 1260 corresponds to a 26. So basically no difference. Robert should make his decision on which test to take based on the other factors (discussed below). Marissa scored 1400 on her SAT and 26 on her ACT. Looking at the table, a 1400 corresponds to a 30 on the ACT. This is 4 points than she actually scored on the ACT, so she should probably focus her prep on the SAT. Carla scored 1050 on her SAT and 30 on her ACT. Looking at the table, a 1050 corresponds to a 20 ACT score. Her real ACT score was 10 points higher! She should almost certainly focus on the ACT. If your scores aren’t so different, then the other questions below will help you decide which test to take. Even if there’s a significant discrepancy, you might have a good reason to go with your “weaker” test, so work through these factors to make sure that you’re making the optimal choice. It is true that the tests are closer in content, structure, and methodology than ever before. But there are some significant differences, enough to make it a better choice to specialize in one test (i.e. seek mastery) rather than try to tackle both tests (i.e. seek mediocrity). A basic question: do you just like one test more than the other? Some students feel more comfortable with one test or the other – it’s more familiar, closer to the kind of work they do in high school, and so on. This general feeling might push you towards the SAT or the ACT. Do you really need a calculator to do all math problems? If so, go ACT. Would you rather focus on a select group of algebra topics (SAT) or a wider variety of problem types (ACT)? Does extreme time pressure hurt your score? If so, avoid the ACT. Do you love Science? Go ACT. Hate it? SAT. A huge difference between the tests is the lack of a separate Science section on the SAT. How did you do on ACT Science? If you did “well” on it (whatever that might mean for you), and if you didn’t absolutely hate the section, at least that’s not a point against the ACT. Having an interest (and good grades) in science in high school might also make you lean ACT. However, if you were completely lost – I can’t put an exact number on this, but we’ll say something like “below 21” – and/or the ACT Science test seemed difficult and overwhelming, that might be a mark against the ACT. Does your school/peer group focus on one test rather than the other? Geography matters here – the SAT has traditionally been a bicoastal (East & West coasts) and International test, whereas the ACT has dominated the middle of the continental United States. So if your school offers free ACT prep, or if all your friends are focusing on the SAT, that might sway your decision one way or the other. What have you already invested? We don’t want to fall prey to the sunk cost fallacy here, but sometimes it’s better to stick with the test you’re familiar with, especially if you’ve already put in a bunch of time, energy, and even money into your studies. Of course, if you do demonstrably better in one test with comparatively little prep, that might actually be a sign to focus on that one. 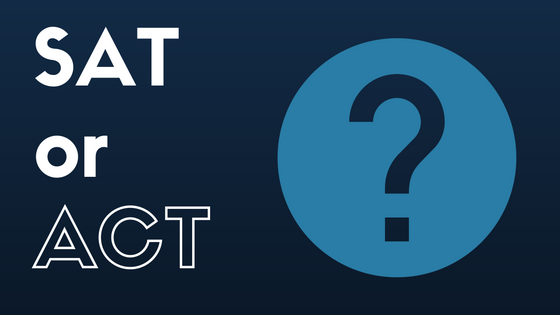 If you’ve already taken an SAT class and prepped for four months, take a practice ACT, and crush the test (as determined by the table above), then it might be worth switching to the ACT despite what you’ve invested into the SAT. It’s your call! Is the SAT or ACT easier? Some students find one or the other test to be “easier” for them, meaning they score higher on one test “naturally,” but this is a function of personal preference, skills, and experience, and not necessarily a matter of test design. So you might find one test to be easier than the other, a fact that you’d discover by taking a practice test as described above. Even if it were the case that one test were easier than the other, it would be easier for all students taking the test, so no individual student would accrue any advantage over another. Pick a test that fits. Don’t worry about the rest. Don’t colleges prefer the SAT? Nope. They used to back in “the day,” but not anymore, especially given the uncertainty surrounding the SAT redesign. Colleges just want high scores, so focus on picking one test, studying like crazy, and crushing it. My free courses are here. 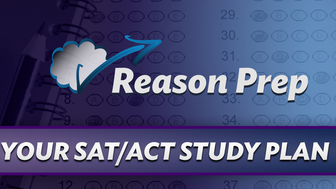 Do you think the SAT or ACT is better? Why? Feel free to join the conversation and leave your comments or questions below!